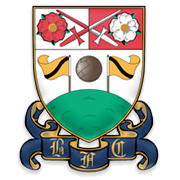 Despite creating a number of clear-cut chances to score at the Hive Stadium, Brentford eventually failed to beat Barnet in the FA Cup round 4. The two teams played out a thrilling 3-3 draw in London and, as a result, Griffin Park will host the replay. The Bees have been scoring goals for fun in all competitions of late and seeing that they outclassed Blackburn Rovers 5-2 in their last league match, we predict that they are going to advance to the fifth round without any difficulties. The National League side did well to hold Brentford to a draw at the Hive Park, but we do not believe that they are capable of spoiling their party at Griffin Park as the Bees have found their best form of late. Neal Maupay looks unstoppable at the moment and we believe that he is going to pose a big threat for the opposition defenders.